His beautifully cultivated sound at the piano is immediately striking. Bebbington possesses an inviolable kinetic sense that will not be rushed and his rubato is generous without seeming indulgent. An example of how to produce a really compelling album. 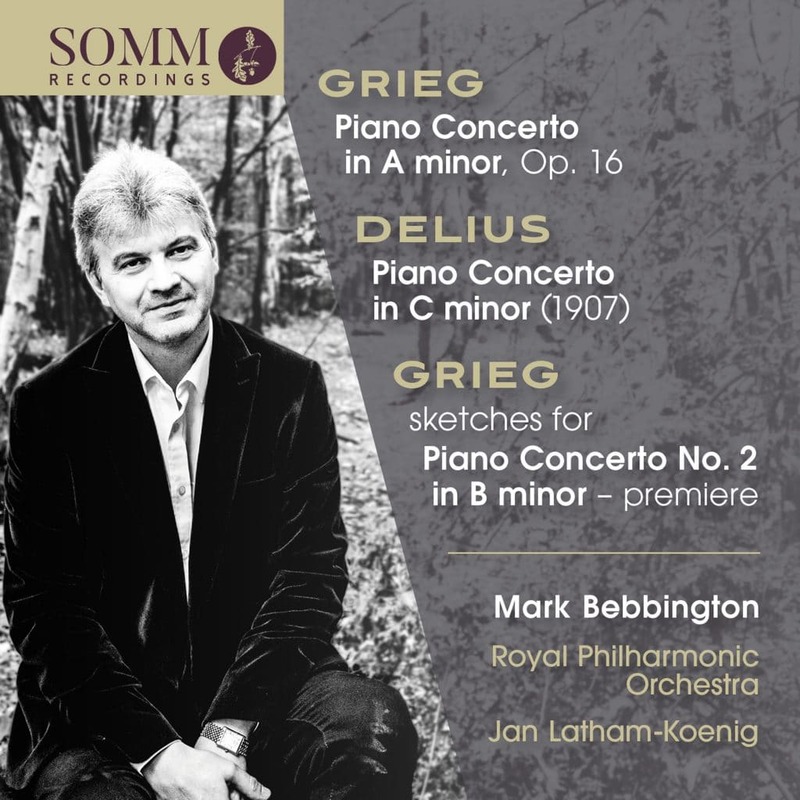 An evergreen masterpiece, an under-appreciated jewel and a great ‘what might have been’ – pianist Mark Bebbington and the Royal Philharmonic Orchestra conducted by Jan Latham Koenig explore the personal and musical connections between Edvard Grieg and Frederick Delius. Heard together on disc for the first time, the Piano Concertos by Grieg and Delius reveal the full extent of the composers’ friendship and mutual admiration. Their music seems to share and exalt in ideals of beauty and tone, scale and sentiment to produce a consummate and complementary coupling.